Everything looks so healthy. The vine looks really pretty against the kitchen window and so much fruit! Thanks for sharing. Happy watering! It´s all doing well, hope yours is too? Big Man is sooo proud of his grapes! Not being able to have one of my own, I truly enjoy reading about others’ flourishing gardens and virtually watching them grow! I love how your vine is growing over your kitchen window! Looking forward to seeing all the resulting recipes from your bounty! I know I´m so lucky to have this and enjoy “sharing” it….am so pleased that you´re enjoying reading about it too! Lots of summery recipes coming up. I love this time of year! Wow, look at those aubergines! The tomatoes look great too and just for you I said ta-ma-toe. OK, not really, got the American accent going strong. You know I haven’t heard a Brit out of water (came up with that bad pun just for you) story in awhile! Anyway, your garden looks great! Love your accent! How do you say poe-tay-toe then?! And there´s plenty more to come on the story front too. Must dig out the one about the rude words! It all looks wonderful – peppers, tomatoes, aubergines, the essentials of a Mediterranean summer! 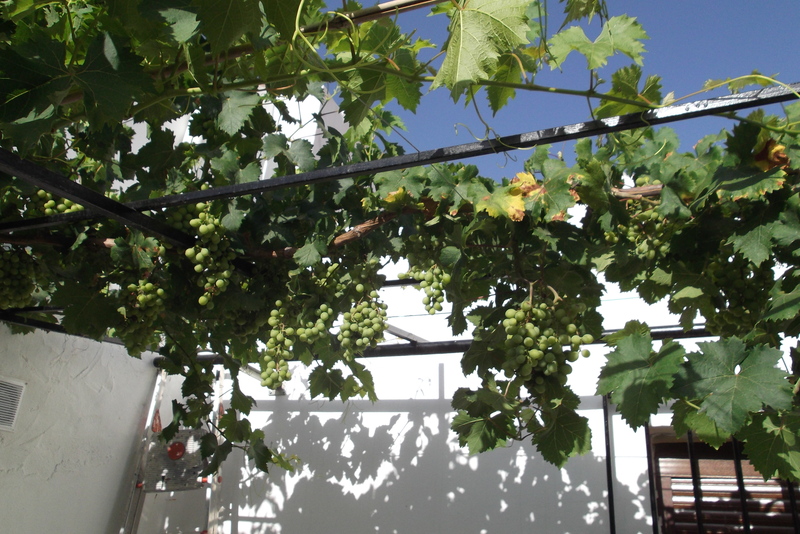 And the grapes….I envy you those as our vine is very young and hasn’t many grapes on it yet. We always find that the Roma tomatoes ripen later than other varieties, and then they all ripen at the same time so we have to have mammoth bottling sessions! Actually, I´ve just ben poking around your blog as I have some mussels to cook and I know you love them and use all your lovely vegetables too. Thanks for the tip about the tomatoes,. will stop stressing about them being so green! Our vine is two years old now…but I think we got lucky that the three we put in “took” immediately. Wow!!! You are so lucky to have your own garden girl!!! I envy you!! You have o km produce, You kniw where it is coming from!!! That is a blessing!!! Your garden looks stunning!!!! It´s true- no food miles or km. Not even for our chickens or goat – they´re just outside the front door! Obviously the result of lots of hard work… you should be very proud! What a fantastic range of produce. To be honest, Big Man does the digging and the harder stuff. I waft around picking off the suckers on the tomatoes and tying them back…but I do all the cooking!! (Which I love, so it doesn´t really classify as hard work). 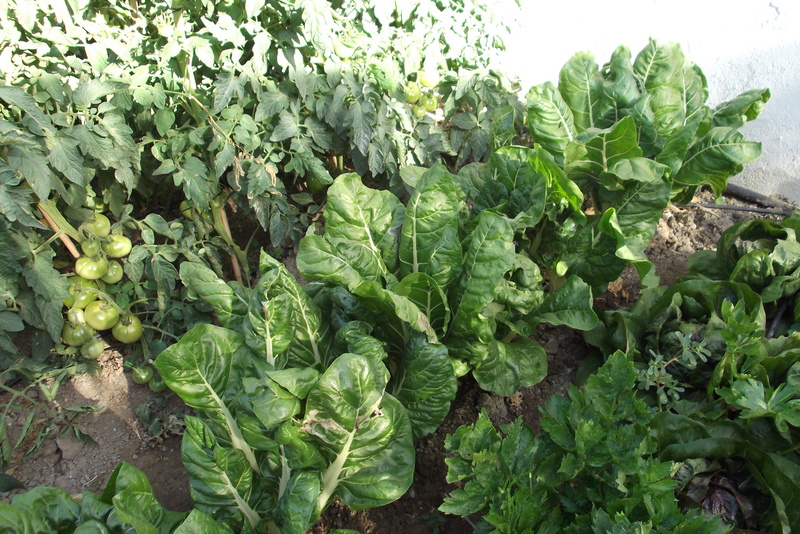 We love our veggie garden, I do appreciate having it. 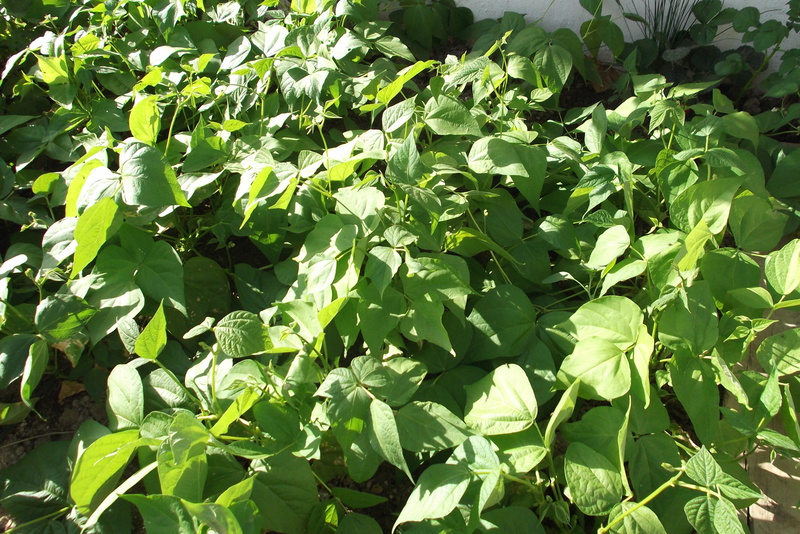 Beans are great as they don´t really take up much space, especially if you have them trained up a cane or fence. They also don´t need too much looking after and I´m sure your neighbours would be very happy! The more you pick, the more they flower and give you more beans – they´re very polite plants! 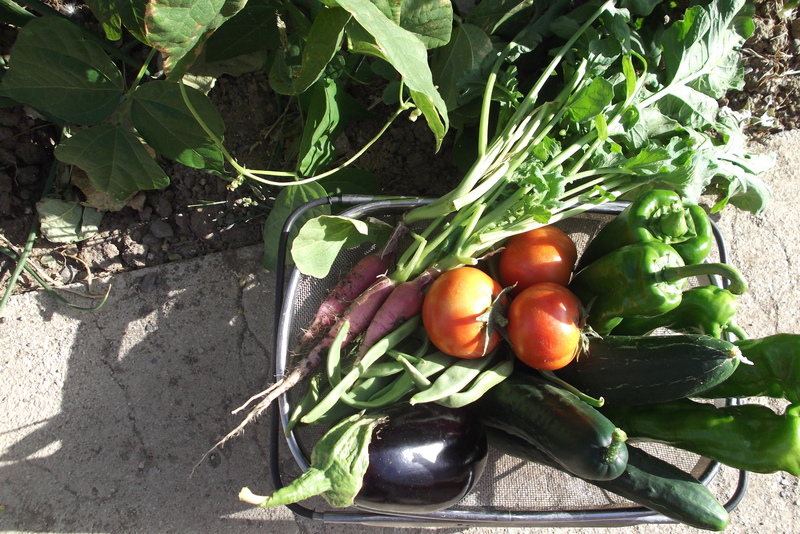 What a great vegetable garden, and a lovely blog. I am just a little bit envious of your Andalucian life… ¡Hasta pronto! ¡Muchisimas gracias! Hope your Spanish is going well, I saw that you are learning – ¡suerte! Love your blog and so enjoyed reading some of your posts. 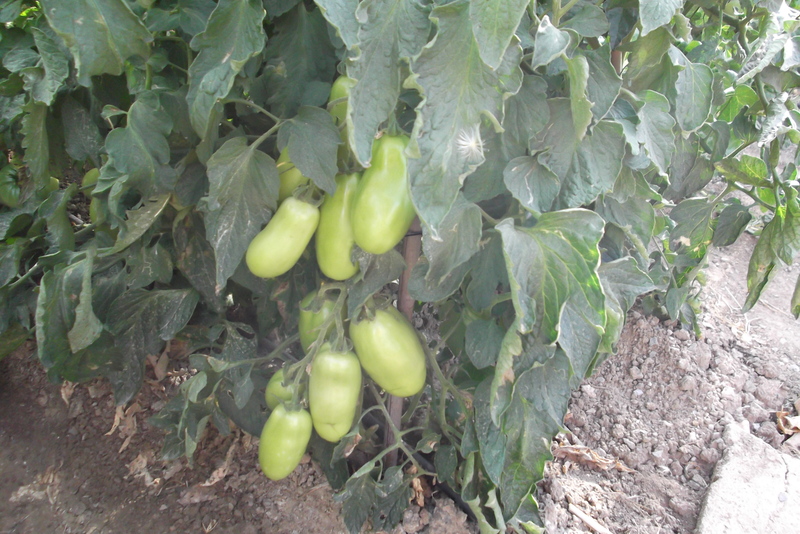 Your vegetable garden looks great and sounds wonderful. Thank you for your kind words and for the visit – glad you have enjoyed what you saw. Wow, congrats on the veggies! They look amazing – and if it helps, your tomatoes are way ahead of all of us in the UK, I’m still staring at flowers and tiny green nubs… Oh well, they’ll arrive on my plate eventually! I am so jealous. Maybe my next place will have space for a garden. You’ve inspired me. Maybe some tubs or window boxes in the meatime?! How lovely to eat the fruit of your labours. It is indeed – we´re very lucky. Ah so that’s what a garden looks like when it rains (even occasionally)…. so pretty – I’m jealous! Well, occassionally – but not for a few months. We have a super efficient watering system that drip, drips, drips (so doesn´t use much of our precious water) when the sun goes down. Thanks for your kind words Rachel! Thank you! We have a good watering system for the evenings and it´s a walled garden so at some part of the day, some part of it is in shade…which is a good thing as we have also had the same temperatures here. Hot and melting indeed! Can you please fill me in on how you’ve reached such a GORGEOUS grape vine? My dad’s was going great, until he had to move it because the sun here was “too strong” which cause it to burn and shrivel. He moved it to a shadier spot, but since then it’s been looking very sad. It’s still a baby plant, so he was able to move it….suggestions? I know he also watered one day then left it dry another at the start to force the plants to make strong roots. I´ll speak to Big Man tonight to see if he has any more tips! Good luck to your dad…ours took a year to get established. Shame…but cut them back to where they are green inside, keep them covered and hopefully they´ll come back to life next year. Hope this works! We love it and we know we´re lucky to have it! It´s doing great at the moment, now we are reaping all the rewards…I love it!